A crash has closed Interstate 81 northbound in Northern Schuylkill County. 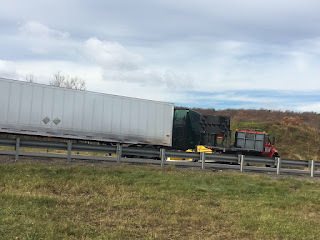 The crash occurred around 12:15pm in a construction zone in the northbound lanes in area of Milemarker 138. As of 12:40pm, the northbound lanes are shutdown at Mahanoy City Exit on north. From the scene, it appears as if a tractor trailer struck a construction vehicle. Nothing has been confirmed.